Smartphone cameras might be improving so quickly that they’re seemingly defying the laws of physics, but their microphones haven’t evolved at quite the same rate. 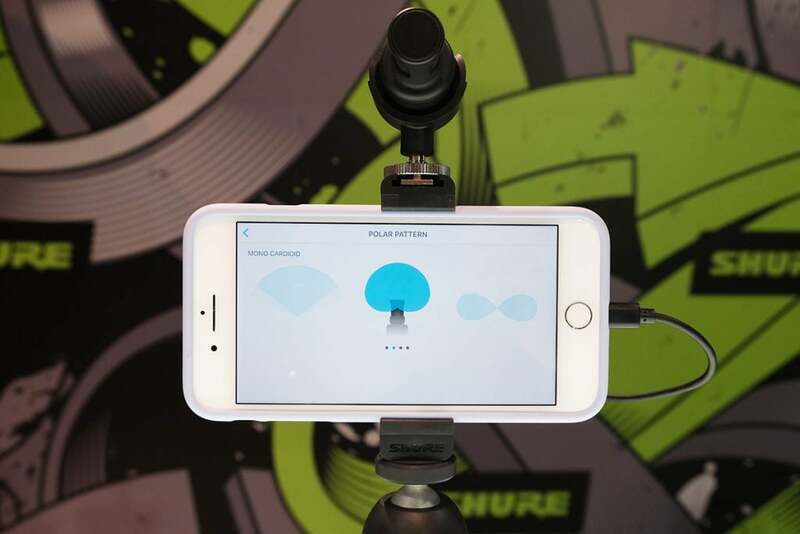 If you’re a vlogger or podcaster who’s heavily reliant on your phone for filming and recording, this is a problem – a problem that Shure’s looking to fix with its MV88+ Video Kit. 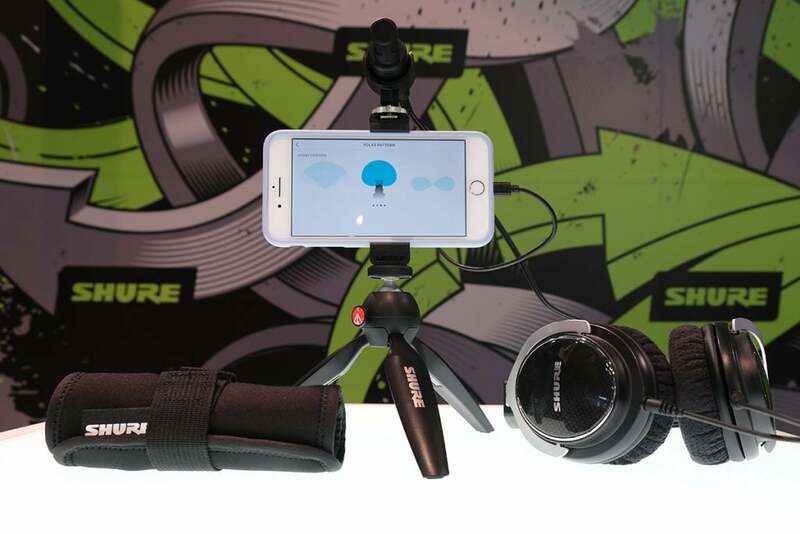 The kit is headlined by a new condenser microphone (the sequel to the iOS-only MV88), which is backed up by a Manfrotto Pixi tripod, a phone clamp, a roll-up carry case, and both USB-C and Lightning cables for connecting to an iOS or Samsung Galaxy smartphone. Shure says that other Android phones will be added to its compatibility list once it’s been confirmed that they support USB audio and have enough power. 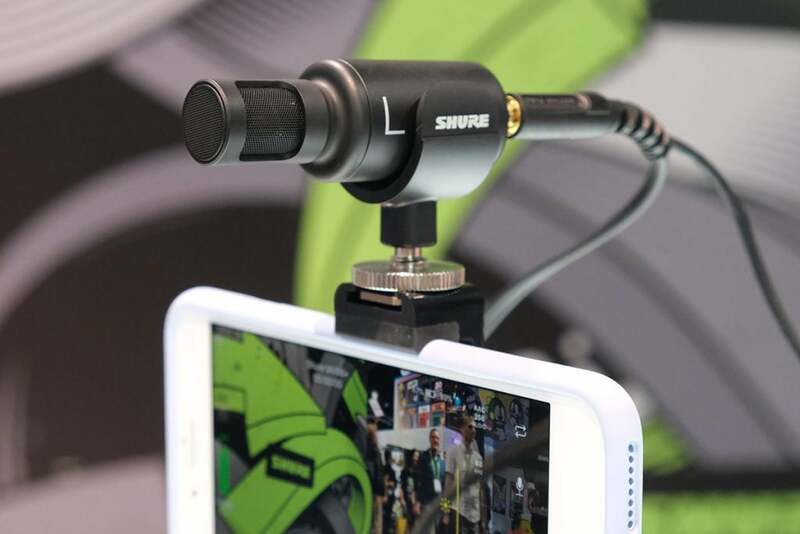 Shure’s app also lets you change the stereo image for different situations – for example, wide for recording live music, or narrower for talking to camera. So is the Shure MV88+ Video Kit a good option for mobile vlogging, or is it eclipsed by the stability of a gimbal like the DJI Osmo Mobile 2? I tried one out at CES 2019 to find out. The MV88+ Video Kit is a slightly Frankenstinian mish-mash of different elements, but makes for a balanced, lightweight handheld setup once it’s all assembled. Starting at the top, the microphone has all of the same elements as the current MV88, so performance is likely to be identical in most situations. The only two differences are that the MV88+ microphone apparently has better immunity to radio and GSM interference from your phone, which should help when live-streaming. And because most phones are losing their headphone jacks, Shure has sensibly added a headphone output to the microphone, so you can monitor your audio quality. It also comes with a windscreen cover to reduce wind noise (or heavy breathing). This microphone screws into the top of the phone clamp, which itself screws into the Manfrotto Pixi tripod via a 1/4-inch thread. This means you could also screw it into any existing tripod you have, as long as it has the same thread. A plus side of the Video Kit’s modular build is that you can reconfigure it based on what you’re recording. For example, you can have the phone mounted vertically with the microphone facing away from you to record some live music, then flip it to horizontal with the mic pointed upwards for an interview. One big feature this setup lacks compared to the likes of the DJI Osmo Mobile 2 and DJI Osmo Pocket, though, is gimbal stabilisation. Many phones come with electronic video stabilisation now, but it can’t create the smoothness and professional panning of a gimbal-stabilised camera. Then again, neither of DJI’s products have simple solutions for adding external microphones to match the audio of Shure’s Video Kit. One of the best features of the MV88+ Video Kit is that it lets you choose from four different types of stereo image to suit the situation you’re recording. 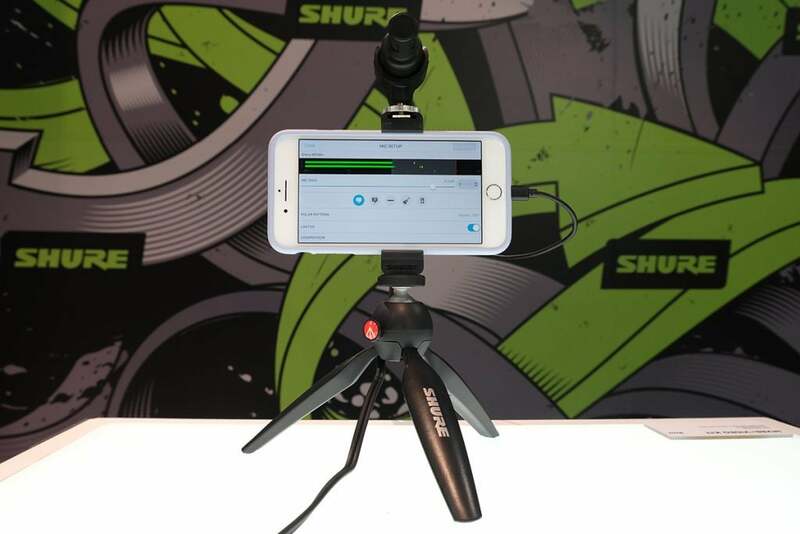 This is done in Shure’s Motiv app, though you don’t necessarily have to use that app to record your video too – the settings are saved on the microphone itself, leaving you free to film in your phone’s camera app or a third party one like MoviePro. The four options are: raw mid-side (for capturing a mix of directional and ambient sound), mono bi-directional (good for interviews), mono cardioid (ideal for capturing ambient sound around you) and stereo, which also gives you the option of adjusting the width of its recording field. In the app you can also tweak things like gain levels and compression, so it gives you pretty granular control of the audio recording to make sure it suits your situation. The Pixi tripod means you can also place it on a table or do handheld recording. I wasn’t able to properly test its sound recording on the CES show floor, but the recordings I did hear managed to pull the speaking voice out of the background hubbub very well. If you’re looking for a simple and relatively affordable way to turn your smartphone into a mobile recording studio, then the £199 MV88+ Video Kit shaping up to be a good all-in-one option. The ability to choose different stereo images and also physically mount the phone and microphone in different configurations means it’s a versatile setup that’s suitable for recording live music, interviews, podcasts, or just ambient sound to match your travel videos. The only real downside is that it lacks gimbal stabilisation, so won’t be able to match the professional-looking smoothness and camera moves of something like the DJI Osmo Mobile 2. 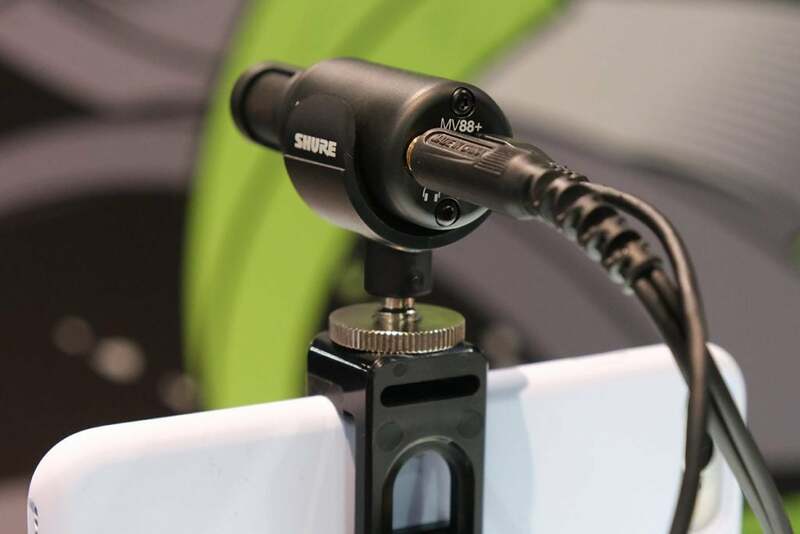 If that’s less important to you than audio, then this could be a good alternative to piecing together your own setup with something like the Rode VideoMic Me. We’ll bring you a full review very soon. The post Shure MV88+ Video Kit First look: taking the aural high ground appeared first on Trusted Reviews.